It's still rainy and cold where I live, but I'm in full Spring mode! And Spring mode for me means lots and lots of flowers. 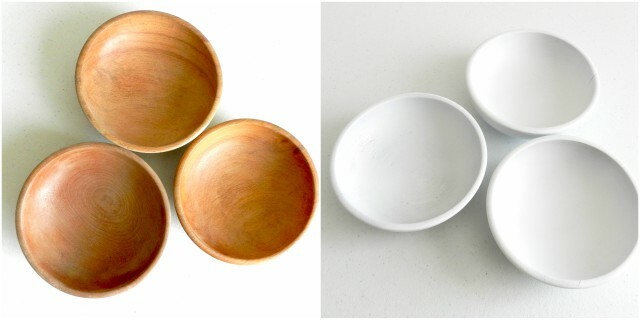 I found these little wooden bowls at the thrift shop last year. They needed some love! So I cleaned and sanded them, and then painted them with some white acrylic wall paint. It's good to have a fresh base to work with! 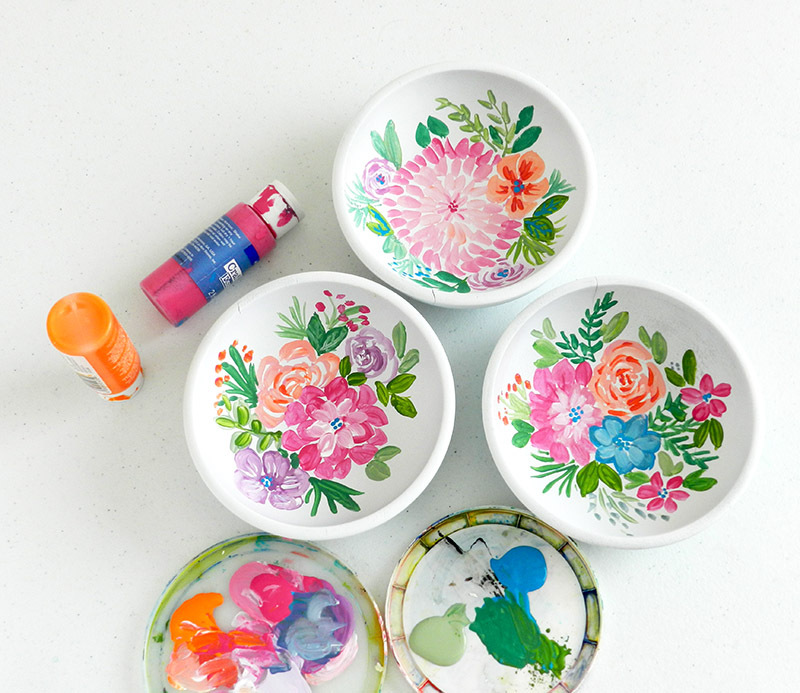 Next, I broke out my acrylic craft paints and painted flowers, leaves, and stems on the insides of the bowls. I used lots of bright colors because after a long grey winter, I need color! 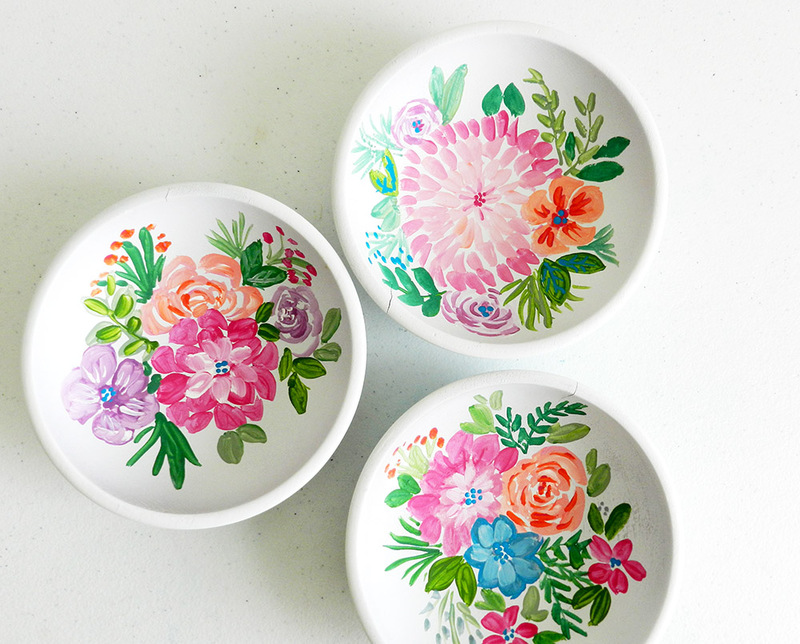 These wooden floral bowls make me so happy! After the paint was all dry, I gave them a spray of Matte Finish Spray. This protects my colorful floral designs for years to come! 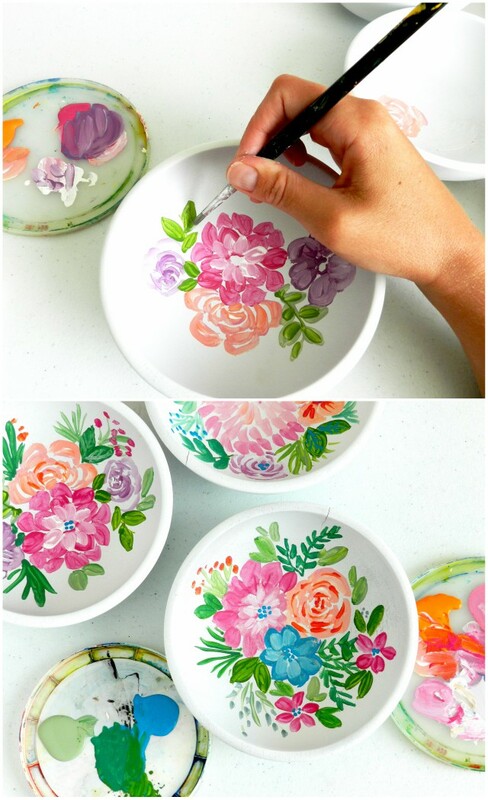 These bowls are adorable, I love them. Copyright Elise Engh Studios 2010-2019. Unauthorized use and/or duplication of this material without express and written permission from this blog's author and/or owner is strictly prohibited. 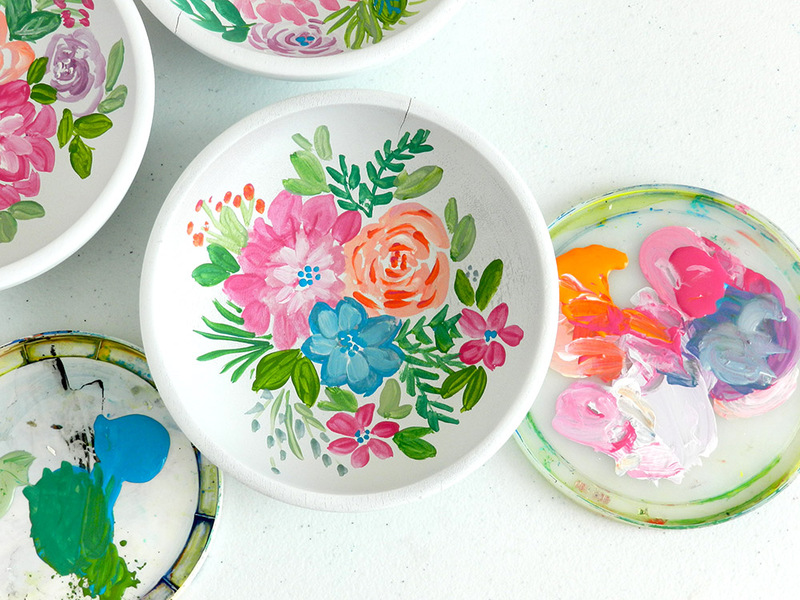 Any artwork, photos, tutorials and ideas shown on this blog are the property of Elise Engh, unless otherwise stated. You may not copy an entire post and post it on your website or blog. Small excerpts and links may be used, provided that clear and full credit is given to Elise Engh and Elise Engh Studios with appropriate and specific direction to the original content. My tutorials, patterns, templates, and ideas are for personal, non-commercial, and non-profit use only. Thanks!